One of the highlights - if not the highlight - of the forthcoming new comic releases will be Witchblade #128 - part 4 of the 6 part War of the Witchblades story arc. Witchblade is always a great read and I'm particularly enjoying the current War of the Witchblades story arc. Last months issue ended on a great cliff-hanger - Dani has fallen from the roof of a 3 or 4 story building into the alleyway below while Sara lies in a pool of her own blood having been speared by Sabine, who proudly proclaims that Sara is dead. This months issue comes with a choice of 2 covers: cover A from Stjepan Sejic and variant cover B from Luke Ross (from the Captain America title). Ross's cover features a dramatized pose of Dani holding Sara's lifeless body as other characters look on from the background. 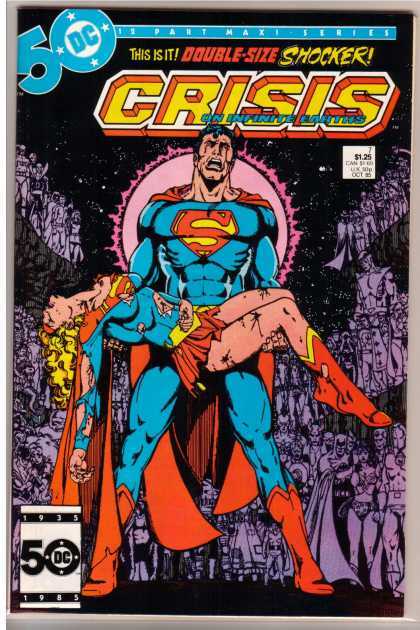 I've read that it's a direct homage to the cover of Uncanny X-Men #136 by John Byrne and is similarly inspired I understand by the cover of Crisis on Infinite Earths #7 by George Pérez. Top Cow have again released a number of preview pages for their forthcoming title - take a look at them courtesy of Broken Frontier, The Flick Cast and Comic Book Resources (who also feature a very nice San Diego Comic Con exclusive cover). LOS ANGELES, Calif., June 3, 2009 – Top Cow Productions, Inc. unveiled an homage cover variant provided by artist Luke Ross (Captain America) for Witchblade #128. The issue, which is scheduled for release on July 8th 2009, is the forth installment of the six-part “War of the Witchblades” story arc. Two covers of Witchblade #128 will be available: one by series artist Sejic and the homage variant cover by Luke Ross (Captain America). 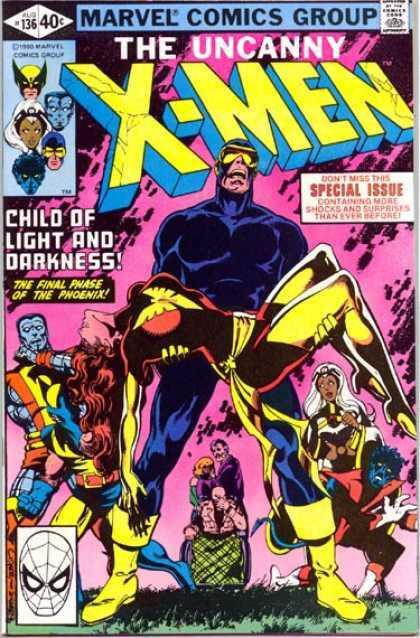 The cover created by Ross depicts a dramatized pose of Dani holding a mortally wounded Sara as other characters look on from the background. 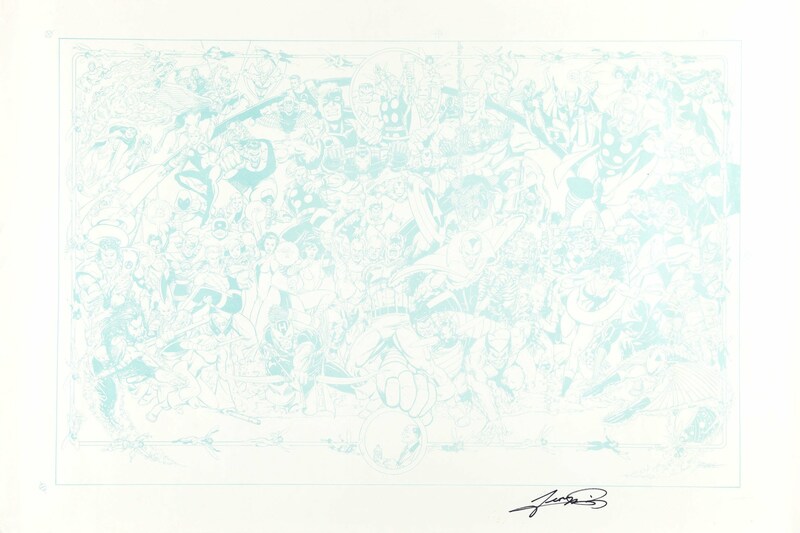 It is a direct homage to the famous 1980 John Byrne cover of Uncanny X-Men #136 and similarly inspired by the George Pérez cover of Crisis on Infinite Earths #7. Both covers are regarded as one of the most recognizable and “homaged” cover illustrations in comics. Comic Vine calls it the “The ‘Stand with a dead loved one in your arms expressing grief to the sky’ cover,” although the image arguably has inspirational precedents that date back to the earliest paintings and sculptures of the Pietà. The use of the homage cover for Witchblade #128 signifies the major plot developments and character conflicts that are central to the “War of the Witchblades” story arc.